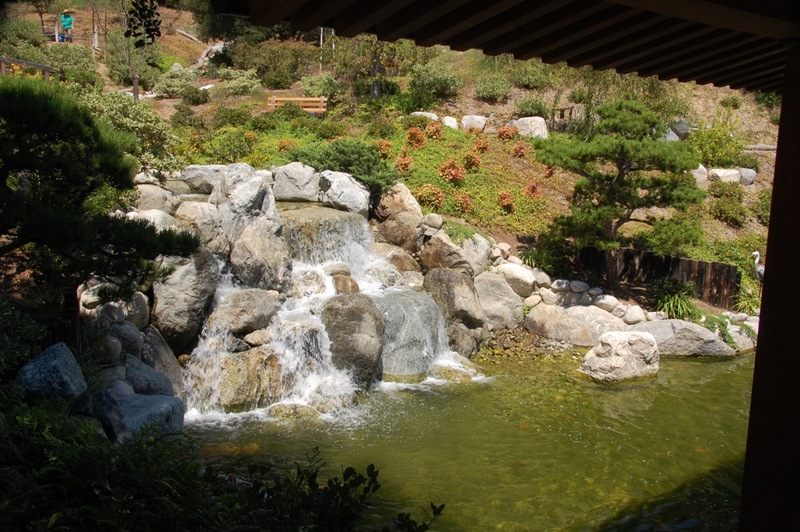 The Japanese Friendship Garden of San Diego is a jewel in the heart of Balboa Park, but could easily be overlooked by tourists Airstreaming into San Diego because much of it sprawls through a lower canyon below the nearby Organ Pavilion. 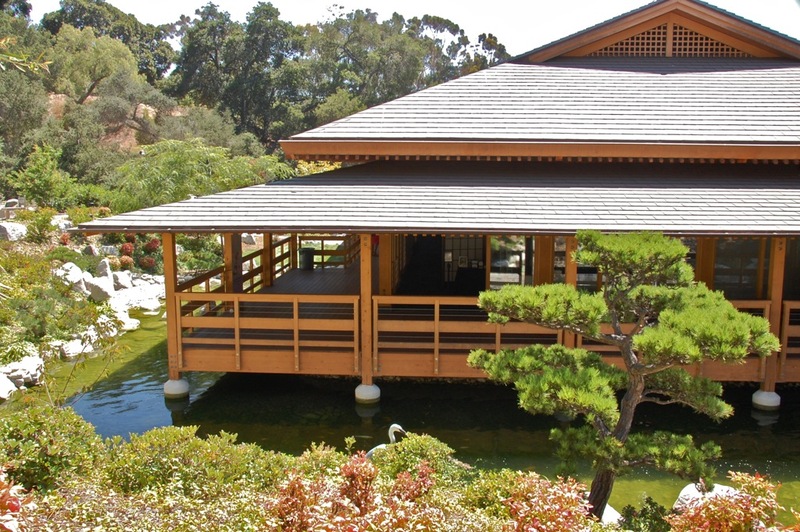 This 12-acre garden opened to the public in 1991 and a third phase of development was completed last year, bringing in a 200 cherry tree grove, a large azalea and camellia garden, water feature and the beautiful Inamori Pavilion, built with Alaskan Yellow Cedar. 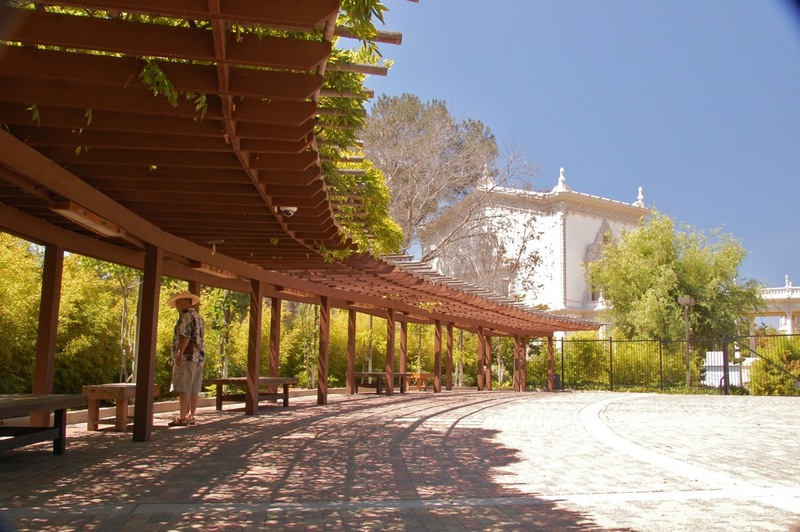 Next to the large Event Plaza seen above, is the Activity Room and Office with adjacent Light of Friendship and Bonsai Exhibit. 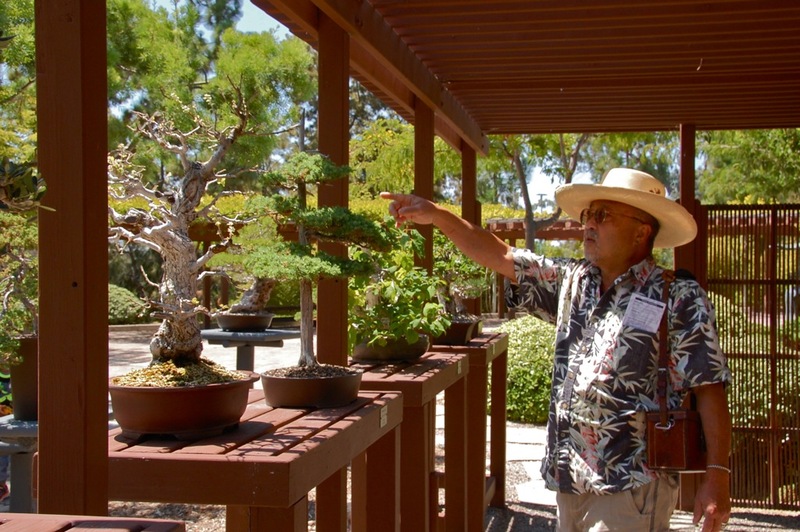 Larry points to sculptured areas of the this bonsai tree that help it appear much older than it actually is. 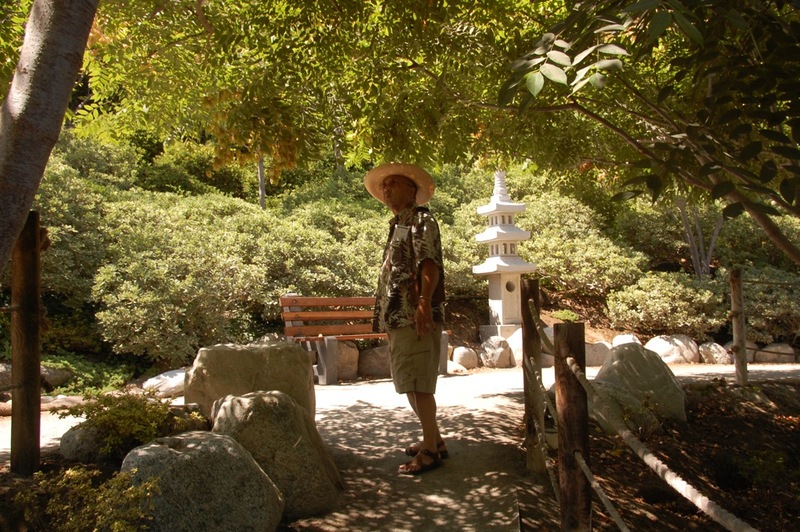 After viewing the koi pond and upper garden, we passed through the Charles C. Dail Memorial Gate to the lower gardens. 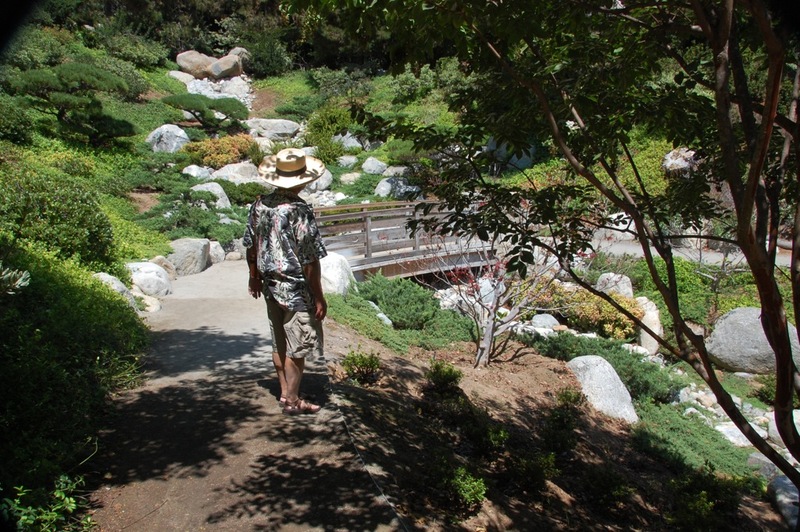 We wound down a path to the dry waterfall and Dragon Bridge, which represents luck, fortune and longevity, per the Friendship Garden’s Audio Strolling Tour of the Lower Canyon. 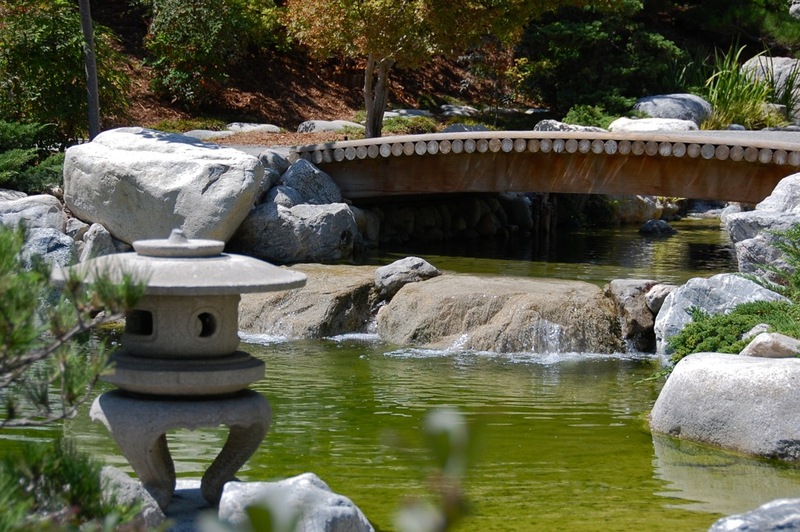 Japanese garden features and elements often include ishidoros (stone lanterns), curved bridges, and water features. 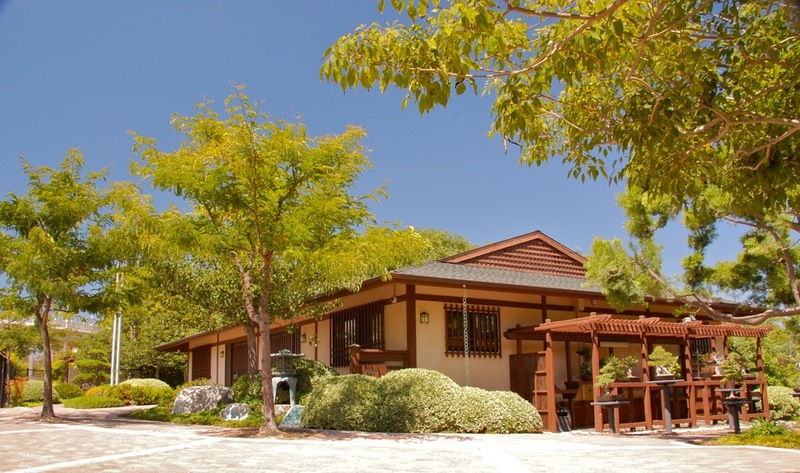 We passed by an ishidoro (lantern) and tsukubai (water basin) on the way out and look forward to returning to see the seasonal changes and especially the blossoming of the Japanese Cherry Trees in late winter and early spring. 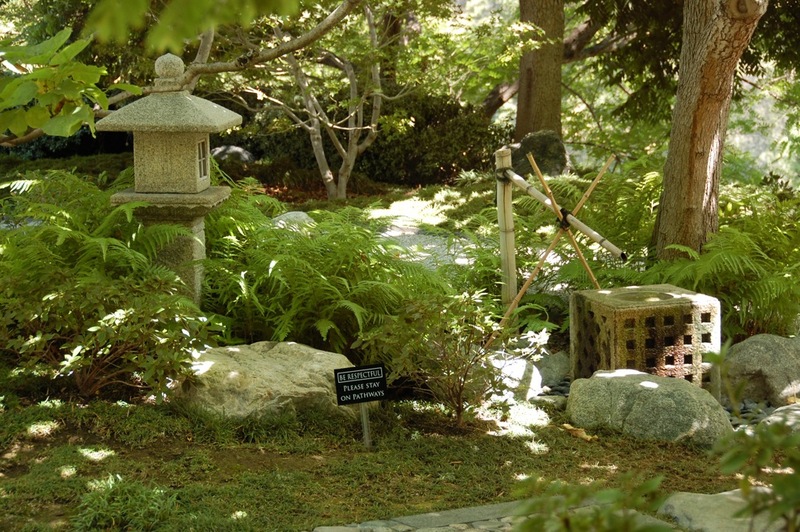 See a more detailed tour of the Japanese Friendship Garden,* including a view of the karesansui (rock garden) from the Exhibit House, koi pond, and Chinese Flame Trees displaying rose-pink fruit, along with a visit to the Yokohama Friendship Bell on my post, “Japanese Friendship Garden: Oasis of serenity,” on my sister blog, History Safari Expresso, a richer blend. *This is a YouTube video.